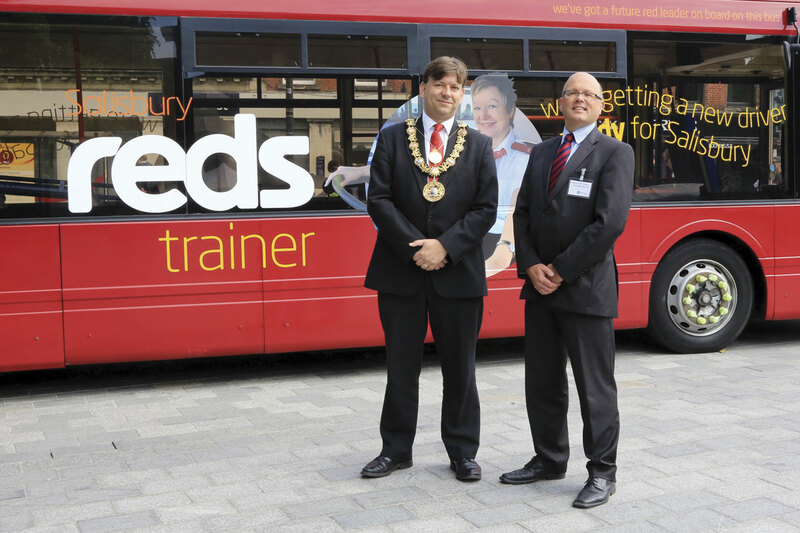 Go South Coast MD, Andrew Wickham (right) with Salisbury Mayor, Andrew Roberts. 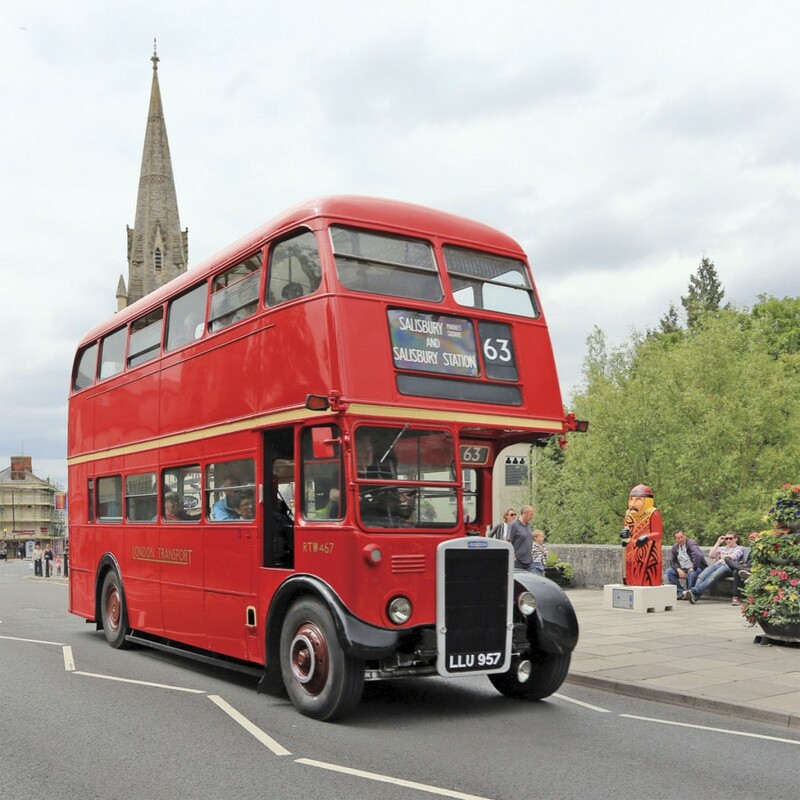 Through changes in brand and legal entity, red buses have continuously served the citizens of Salisbury for the past century. Today’s Salisbury Reds operation of Go South Coast can trace its ancestry directly back to the formation of the Wilts and Dorset Motor services in January 1915. 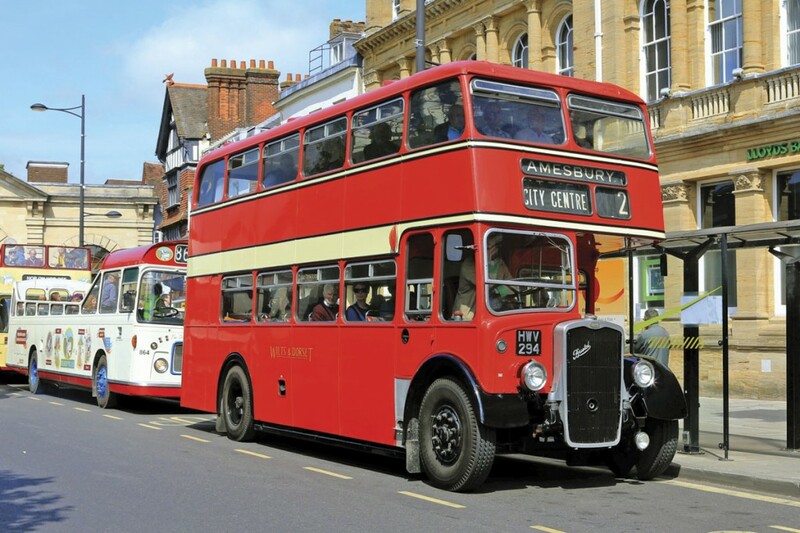 To celebrate, Go South Coast staged a charity event in Salisbury city centre with attractions in the Market Place supported by an extensive network of free bus services recreating some of Wilts and Dorset’s original routes. It was a grey start as the Salisbury Reds team immaculately lined up a cross selection of the current fleet in the Market Place. At 1000, with the weather improving by the minute, Go South Coast MD Andrew Wickham welcomed visitors and introduced Salisbury Reds’ charity of the year, the Stars Appeal for Salisbury Hospital. Andrew talked of the buses making a real difference to people’s lives over the past century and emphasising the role staff have played, ‘our biggest asset is our people who have done and still do a fantastic job despite the weather conditions and the challenges of shift work.’ Noting the importance of military establishments across Wilts and Dorset’s operating territory, Andrew paid tribute to staff lost on active duty who are commemorated on plaques in Salisbury and Poole. Andrew was joined at the opening ceremony by the Mayor of Salisbury, Councillor Andrew Roberts and Katie Ames of the Stars Appeal. 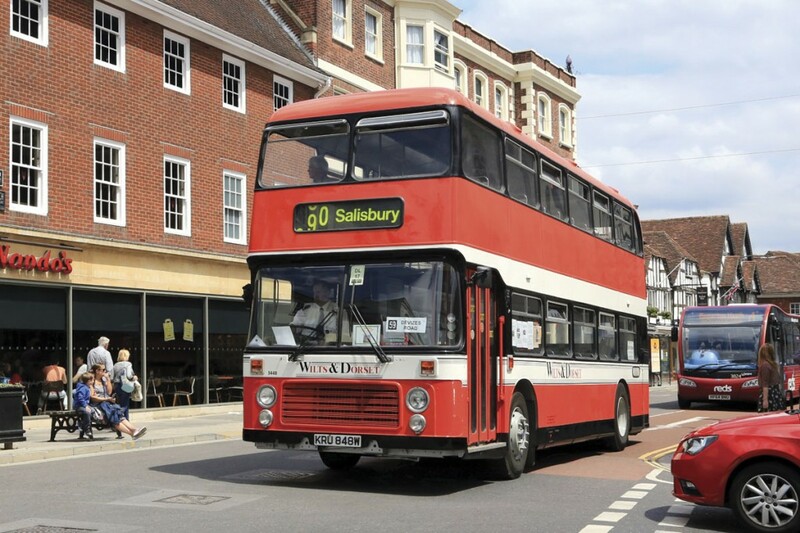 The Mayor spoke of the importance of the bus socially and praised the efforts of Salisbury Reds for staging an impressive display in the Market Place. 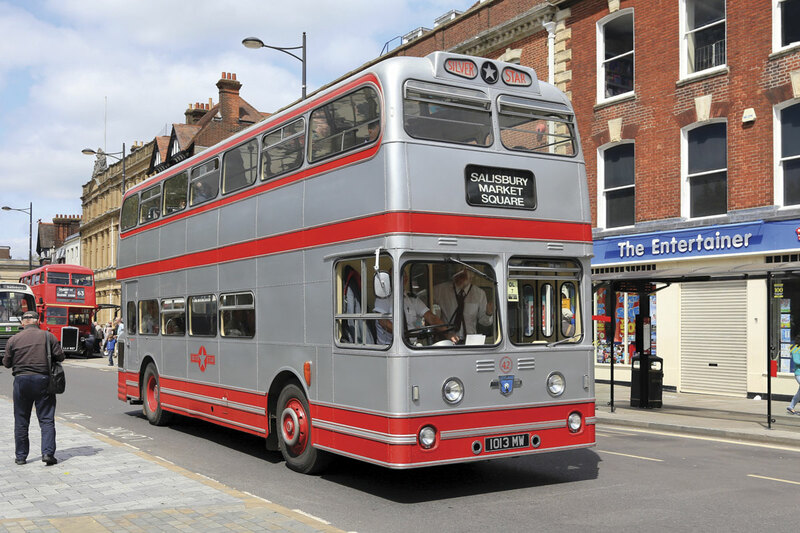 The free bus services, timetabled by Dave Andrew and Peter Cook from the Warminster Vintage Bus Running Day team, proved popular from the start with the open top services particularly in demand as the sun broke through. ‘The Old Girl’, a 1939 Bristol K5G entered by fellow Go Ahead company Southern Vectis and the oldest vehicle in the UK still in use as a PCV with its original owner, regularly tackled the climb to Old Sarum to the delight of those on board. At the other end of the age range, the New Routemaster in classic General colours from Go Ahead’s London operation proved a significant attraction. Wilts and Dorset Motor Services Ltd was registered in January 1915 with a first route between Salisbury and Amesbury, the company name apparently commemorating a local bank then recently absorbed by Lloyds rather than geographical accuracy. Early investment came from Messrs Cannon and Mackenzie who were also involved in the founding of Southdown Motor Services although there was no financial link between the businesses. The Southern Railway acquired 50% of the company shares in 1931, the whole business passing to the state owned British Transport Commission in 1948 as a result of the railways being nationalised and the Tilling Group selling its transport interests. The company expanded further into Hampshire with the transfer of Venture’s operations at Basingstoke in 1951. 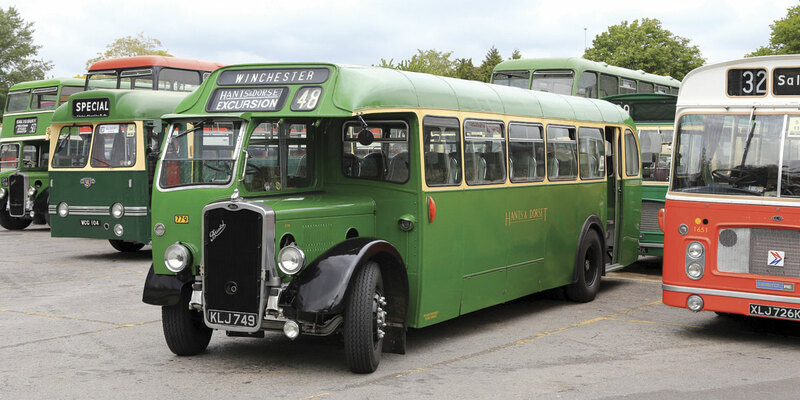 The Wilts and Dorset name disappeared in 1972 when the National Bus Company combined its operations with the neighbouring Hants and Dorset business. Red buses remained as the latter chose NBC’s red palette in place of its previous green. A new Wilts and Dorset company appeared in 1983 in advance of privatisation. This time the name was geographically appropriate to take on the NBC operations centred primarily on Poole and Salisbury. 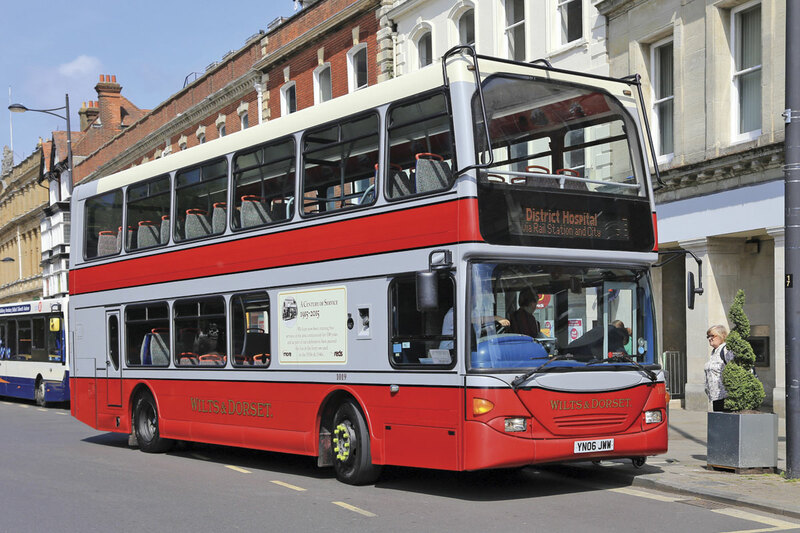 Bought out by its management in 1987 and expanded with the takeover of a number of local operators, Wilts and Dorset was acquired by Go Ahead in 2003. Salisbury city services were re-launched in 2010 as Salisbury Reds forming part of the Go South Coast operation. Around 90 vehicles and 187 staff are deployed on the Salisbury operation which has seen significant recent investment in new Optare Solo SR and ADL Enviro200 vehicles. 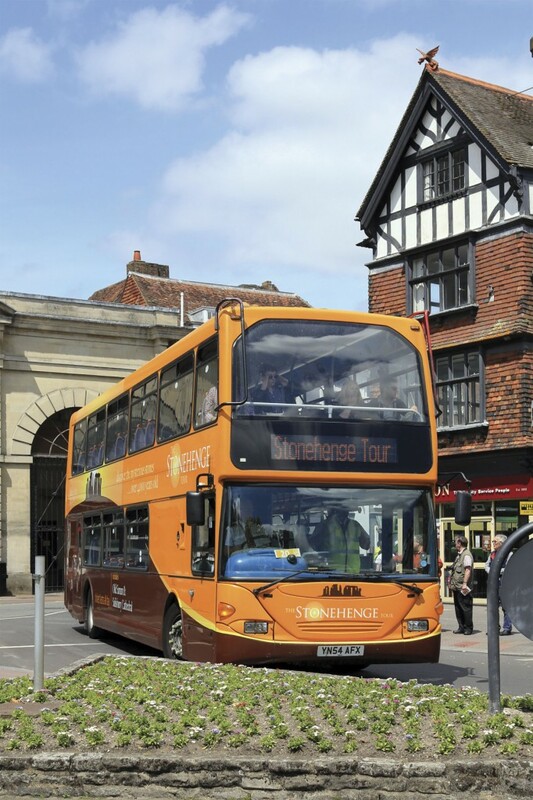 The company acquired a number of the latter at short notice from ADL stock to step in and operate a number of Salisbury Park and Ride services. With the formal awarding of the contract for links to all the city’s Park and Ride sites which are being integrated with normal services, Andrew Wickham expects a total of 20 E200s will be in operation by September. All have automated manual transmission which has impressed Andrew with its impact on fuel consumption. Launched at the centenary celebrations was ‘A Century of Service’, the lavishly illustrated year by year story of the Wilts and Dorset businesses. Commissioned by Go South Coast, written by Chris Harris and designed by Ray Stenning for Best Impressions, the hardback book is available at £33 from the Classic Bus web shop, Amazon and to order at bookshops.